Zilliqa is a blockchain platform for decentralized applications under development with a focus on sharding to address blockchain scalability. Zilliqa is a blockchain platform for decentralized apps under development attempting to address blockchain scalability primarily through sharding. The development of the platform was inspired by Elastico, a sharding protocol developed at the National University of Singapore. On October 12, 2017, Zilliqa claimed to have developed a testnet with sharding capable of processing 2,488 transactions per second. Zilliqa tokens are called Zillings (ZIL). 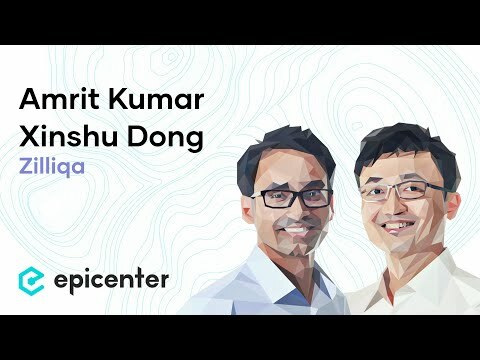 Amrit Kumar and Xinshu Dong discuss Zilliqa on Epicenter with Meher Roy on November 14, 2017. It uses practical byzantine fault tolerance (pBFT) consensus as opposed to Nakamoto consensus protocol used by other cryptocurrencies like Bitcoin. Benefits of pBFT include more secure state finality once consensus has been reached on a block. Each shard produces microblocks, confirmed by the nodes in that particular shard, which are then passed up to a DS committee. The committee verifies that 2/3 of the nodes produced valid signatures for the correctness of the block. Thus the DS committee nodes run another round of pBFT consensus in order to validates the block. The shard which a specific node joins is determined at random in order to reduce the ease of collusion on any specific shard. Zilliqa uses Schnorr signatures in order to reduce the size of digital signatures in order to address an issue in pBFT where digital signatures expand in size due to larger amounts of shards. There is a finite total supply of 21 million tokens ZIL tokens. The Zilliqa consensus protocol uses a proof-of-work system to deter Sybil attacks or DDos attacks. The architecture also allows for the possibility of transition to a proof-of-stake system in the future. Sharding is a scaling technique for databases in which data is partitioned into smaller chunks where it can then be stored across multiple distinct servers.